Other than performing in my show, I have been a hermit the past few weeks and I must say that I quite enjoy it. Every once in a while I do not mind getting out, but I so enjoy being alone... really. I do not know when I became this person, but it is someone I am getting to know quite well in the down time. He is a dapper and odd fellow and he is ME! Ha. 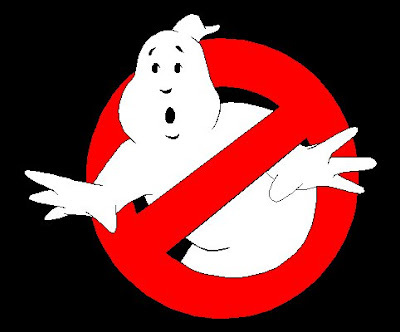 I watched "Ghostbusters" the other night and I forgot how much I love that film. It is impossible not to shake your hind quarters when that theme starts... impossible I say! So, to anyone who has invited me to places and I have not attended, etc. please note that I am enjoying the quieter, less social side of me... it is nothing personal. I just am sharing through these musings and observing. There are a few times I gab, but it is not as often as it used to be.